Congratulations to 2013 CCFC Club Champion IM Justin Sarkar! 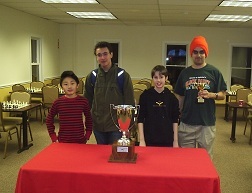 Justin won the tournament with 3.5/4 which was good enough for clear first. Following close behind were FM Leif Pressman, NM Ian Harris and Nicolas Checa. 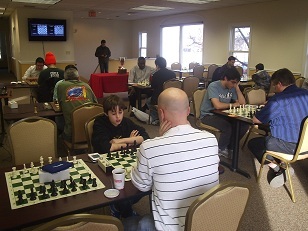 Checa won the top U2200 prize and Melvin Patrick won the top U2000!